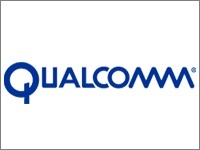 Qualcomm (NASDAQ: QCOM) won an injunction against Apple (NASDAQ: AAPL) in a Munich court, according to Bloomberg. The court ruled Apple's product violates a patent owned by Qualcomm and awarded an injunction that would allow Qualcomm to ban sales of some iPhone models in Germany. The ban doesn't apply immediately and Qualcomm needs to start separate enforcement proceedings including posting collateral. Apple can appeal, the report said.